Hi, my name is Carolyn (zookyla) and I live in Santa Fe, TX. 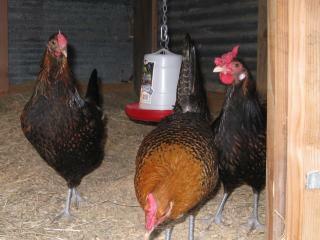 This is my first adventure with chickens. 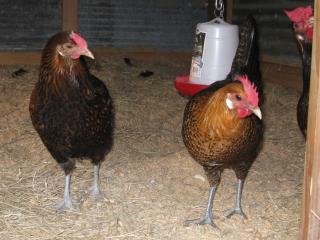 I work at a zoo and have taken care of our chickens at work for the last 8 years, just never had any of my own. 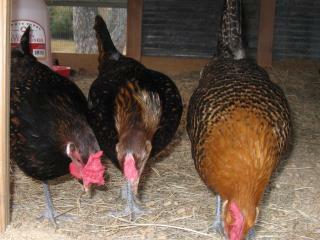 I adopted these three from work after we ordered a group of chickens from McMurray Hatchery. I think one is a Golden Campine and the others Red Caps. 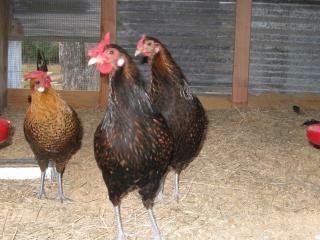 Their names are Emma, Harriet, and Miss Taylor. 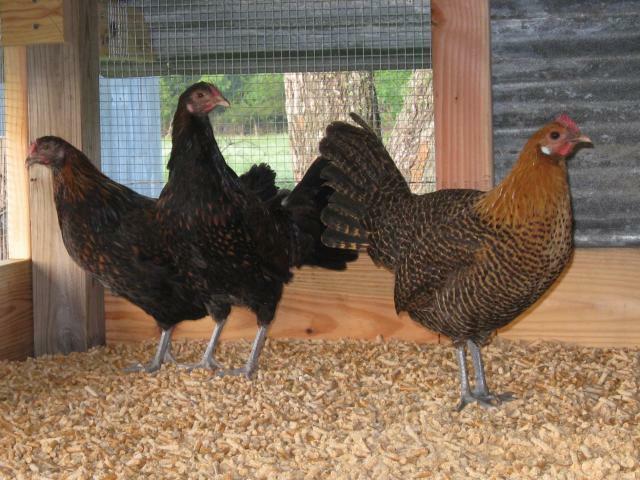 All of my hens will be named after characters from Jane Austen's novels. 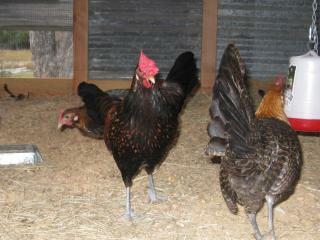 I plan to order some more chicks this year to add to my flock. Harriet, Miss Taylor & Emma their first day home. 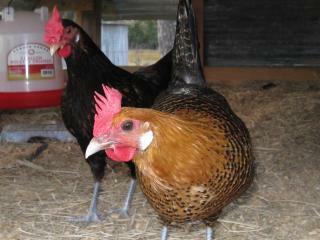 Our temporary coop, doesn't work well as a laying hen coop. 4H Project broilers will be using it after we get the other coop built. 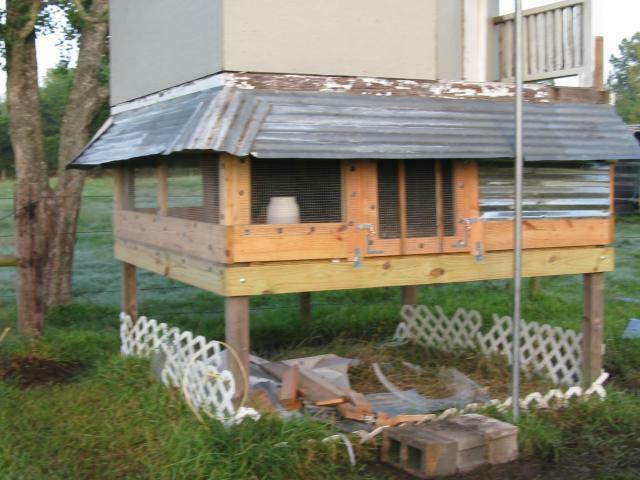 We used an old playhouse on stilts, that was already built on our property. Emma & Miss Taylor (in the background). Emma is the most outgoing and is very friendly.